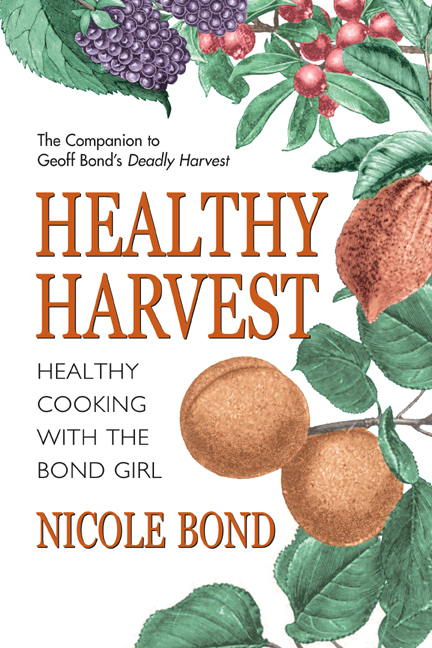 This chapter sets out the ‘Golden Rules’ of Natural Eating. They present, in summary form, the chief principles. These rules represent an ideal. It is possible to work towards this ideal in stages. Chapter Ten, The Ten Steps to Success, shows how. After all, we only have so much will-power and motivation, and it is best to focus on the activities that yield the most benefit. Note that if you already have some diet-susceptible disease such as diabetes or diverticulosis, then some of the priorities could change. Look ahead in Chapter Eight, The Food/Illness Connection, and see which of the recommendations you need to work on first. How does this new way of eating work in practice? The first thing to accept is that it is a new way of eating! A firm resolve has to be made to swim against the tides of cultural tradition, commercial vested interests, family indoctrination and personal habit. The behavior of ideas has been likened to that of viruses. They both float around in the environment waiting for a susceptible brain to colonize. We are all carry a baggage of ideas, opinions, beliefs and prejudices that have taken up residence in our minds in a usually haphazard way. New ideas have to fight the current incumbents for a place to be heard. If they are successful they take up residence and modify your behavior. If the ideas are really successful they are fruitful and multiply by getting you to tell other people about it. That is how ideas, sometimes fancifully called ‘mind viruses’, spread. Looked in that way, Natural Eating is a concept, an idea, that has to vie for your attention with all the opinions, beliefs and prejudices about nutrition that are already entrenched in your mind. Wipe the slate clean on what you think you know about nutrition. Have the courage to believe it could be wrong! The food producers have almost certainly indoctrinated you from an early age. For generations they have provided attractive educational materials to schools free of charge. The Beef Lobby has convinced you that you stand in mortal danger of protein deficiency. The Milk Lobby asks you “Got Milk?” and makes you feel bad if you aren’t giving it to your kidsand so on. So our instincts to eat these products can be trusted? Wrong! b) The people who process food into food products, are engaged in a battle for growth and market share. They are seeking ever more new ways of processing food so that it is ever more tasty, more attractive, more complicated - and therefore has a higher added value. This has reached such an extreme that it is almost impossible to find such a prosaic staple as bread which has not been “improved!” That is, denatured, processed and contaminated with all kinds of unwanted extras. If you can find mass produced, commercial bread which is made only from coarse ground, whole-wheat flour, yeast and a pinch of salt, like that eaten by scores of generations of our forebears, then tell the world about it. The same goes for cereals. There is a bewildering range of ever more exotic breakfast cereal invented for our delectation. The harsh reality is that the original goodness found in the bran and wheat germ has been thrown away. These products have been converted from a moderately nutritious foodstuff into an empty calorie sugar-rush. To make matters worse, years of propaganda by the food processors have conditioned us to think that we haven’t eaten breakfast unless one of these cereals has been consumed. It is not so long ago that corn was grown mainly to fatten cattle for market. It was only later that corn was treated to make it consumable by humans and repackaged as breakfast cereal. It is a dubious, but dramatic marketing success story of the last 40 years. Breakfast cereals have moved from being an insignificant niche market in the 1950’s to being all-pervasive today. Corn has been successfully repackaged to fatten people as well as cattle. But now sales are flagging in the West, so they are now using the power of the media to persuade the cornflake-free Latin Americans to change their breakfast habits. So our instincts to eat these products can be trusted? No! Examine closely every one of the prejudices with which your parents have molded your ideas about eating. Jettison them if they don’t coincide with the new way of eating! We are all hopelessly entrained in the gearwheels of cultural tradition. Any significant meal has to conform to the format of a starter, meat dish main course (with rolls and butter), dessert (sweet), cheese (and biscuits). Throw overboard the tyranny of this format! It is a recipe for bad combination, overeating and bad insulin reaction! Get used to the idea that meals can be eaten more frequently. Get used to the idea that meals have to be unconventional - and stick to your guns! Finally, reject the received idea that the best compliment that one can make about a meal is that it is attractive and tasty. Resolve instead to think that the best compliment one can make about a meal is that it is healthy. There is nothing to stop it being tasty and attractive too, but these are secondary considerations. Your taste buds, long anesthetized by the highly flavored products of the food industrialists, will wake up and tingle to the joy of long forgotten delicate taste sensations. Be indignant at the cynical presumption that your only interest is in taste and not quality or health. When you start to eat naturally, you are almost certainly making major changes in the structure of how and what you eat. These changes have their repercussions and during the transition phase may be uncomfortable. That is why it can be wise to introduce the changes gradually. The digestive system will be in a state of shock! For years it has been abused and mistreated. Many of its functions will have shut down. Your new way of eating will bring immediate benefits, proper food combining will start to reduce digestive problems. On the other hand, the increase in soluble fiber from fruit and vegetables will force lazy and atrophied intestinal muscles to limber up and become operational again. Be prepared for bouts of diarrhea or constipation for several weeks. This is normal during the transition period. During the transition period you will start to lose excess fat. That is the good news. The bad news is that as this fat is released into the blood-stream, it will be accompanied by concentrations of pesticides and other pollutants that have built up in the fat tissues. Your body will have to eliminate these unpleasant chemicals. In the meantime, you may well suffer discomfort from their presence in the blood-stream. Be prepared for symptoms such as increased allergy activity during the transition period. As you will have learned in this book, food is a potent factor for modifying the hormonal balances in the body. As you shift the emphasis on what you eat, particularly from bad carbohydrates, you will be modifying your hormonal balances. During the transitional period you may feel the effects of this with mood swings, sweet cravings, headaches for example. This is normal. · food will have a rapid transit time through the digestive tract. These are the normal characteristics of bowel movements in the human species. Know also that instead of having a clogged up sewer system for a gut, it is an efficient toxic waste disposal unit. Instead of hanging around in the intestine creating mischief and undermining general health, the noxious toxic products of digestion are swiftly and efficiently shown the back door. It is perfectly normal for some air to be swallowed as you eat and for some gases to be formed by bacterial fermentation in the intestines. Under normal Natural Eating circumstances, this gas does not cause discomfort, and is evacuated when you ‘pass wind’. Believe it or not, this process has been measured. On average wind is passed 13 times a day and has a total volume of about two pints. It does not have a noxious odor. On the other hand, those Westerners who have really bad eating habits, can pass up to 40 pints per day of noxious smelling gas! If for example, you have problems with gas, large volumes, wrenching gut pains or noxious smells, then there is something wrong. In view of the appalling eating habits that are commonplace in the West, this is a common problem. The only healthy cure for digestive problems of this kind is to eat in harmony with the way your digestive system is designed to work - i.e. Naturally! When you eat naturally mouth hygiene is vastly improved. · From an improvement of saliva quality. Most people on a western diet have a completely deregulated saliva composition. The saliva, should contain a well-balanced cocktail of enzymes and anti-bacterial agents. Once onto a Natural diet, the saliva finds its equilibrium and can fulfill a major role, keeping the mouth sterile, wholesome, and sweet-smelling. If you have poor dentition, do the best you can to get it fixed. It is surprising how often people are pushed into poor food choices, just because they cannot chew the right foods comfortably. Get your teeth fixed for optimum chewing efficiency. What are our consumption priorities? The same as those of our Pleistocene ancestors! With the proviso that the devil is in the detail, here are the broad outlines. Lots of fruit and soft vegetation (salads and vegetables); moderate amounts of other ‘good’ carbohydrates; moderate amounts of vegetable protein; moderate amounts of qualifying animal matter (optional); occasional borderline carbohydrates . The broad principles are simply said. Our Pleistocene ancestors had incredible jungle survival skills. We have to develop the same level of skill for survival in the supermarket jungle. Let’s not forget that there is not a single food that we eat today that would be recognized by our hunter/gatherer forebears of the African savannah. So even when we talk in broad terms about eating fruits, his fruits were different species with somewhat different nutrient profiles to our apples, oranges and pears today. That is why we have to be savvy about everything we eat and why in this book we go into some detail to explain how even with fruits for example, we have to make wise choices between them. The broad principles of Natural Eating are simply said. The devil is in the detail. We need finely honed skills to survive in the supermarket jungle. The following consumption profiles set out the broad priorities. There is a totally laudable campaign by most governments in the West to encourage the consumption of “five a day” portions of fruit and vegetables. It shows how lamentably low is current consumption that five a day is considered an improved target. In reality, the target should be closer to 30 portions per day! Here are the ideal targets for Natural Eating. Their consumption should be increased to a minimum of 40% of the diet. The human species is designed to get a good percentage of protein from vegetation. You have to eat lots, up to 3 pounds net per day (measure it out to start with).That is the way that our bodies are designed. Their consumption should be increased to a minimum of 25% of the diet. Again, eat lots. Up to 2 pounds per day. Concentrate on the unrestricted fruits in Table 1 of Appendix 1, Good Foods to be Eaten in Bulk. Their consumption should be reduced to very little or zero. Its consumption should be reduced to as close to zero as possible. Skinless chicken and turkey breast are OK in modest quantities. Consumption of other parts should be reduced as much as possible. Truly wild game that feeds off what it finds in its natural habitat is an approved ‘animal matter’. It is fine to consume it in moderation.. It will be low fat and should have a good fatty acid profile. This includes grouse, pigeon, partridge, wild boar, moose, caribou, horse, bison, squirrel, elk, goat, pheasant, venison, rabbit or hare. These are low fat meats but liver in particular is heavily loaded with potentially toxic micronutrients such as true vitamin A and arachidonic acid that should be consumed with caution. These are high fat meats, much of the fat being saturated. Brains are particularly rich in cholesterol. Only eat these occasionally. The last two have a long and honorable tradition in France and they correspond very well to the kind of ‘animal matter’ that our pleistocene ancestors ate all the time. Other exotic foods are making their appearance, particularly ‘bush tucker’ from Australia. These too are mostly fine, corresponding as they do to the food traditionally eaten by the Australian Aboriginal. It is good to consume modestly. It is OK to consume modestly. It is important to consume modest quantities of raw, unsalted nuts regularly. Because of their antinutrients, legumes – and soy in particular – are not miracle foods. Only from time to time may you include in your diet an occasional and moderate portion of legumes and their products (such as tofu, texturized vegetable protein, substitute cheeses and meats etc…). Their consumption should be restricted as much as possible. Intensively farmed eggs from battery hens: It is OK to consume moderately. Free range, omega-3 rich eggs: can be consumed freely. In today’s supermarket it is quite difficult to find plant foods that naturally contain Omega 3 oils. For this reason it is good to use about 1 tbs. per day of canola, walnut, or flax oil as part of a salad dressing for example. If you are not watching your weight, one additional tablespoon of the Omega 3 oils or olive oil per day may be used. All other fats and oils - none is best. Avoid all processed foods containing salt. Limit added salt at the table or in cooking. These measures, together with the high consumption of plant food, will ensure that an optimum sodium/potassium ratio is maintained. Following the foregoing guidelines will ensure that an optimum acid/alkali ratio will be maintained. Eating in this fashion will ensure that the basic parameters of the Natural Eating Pattern (Chapter Three) are observed. These are the broad outlines. It is not necessary to go ‘cold turkey’ straight away. Chapter Ten, Ten Steps to Success shows how to get there in stages. Remember that any movement in the right direction will bring its benefits. All movement in the right direction is beneficial. 1. The food to which as a species we are primarily adapted is soft vegetation and fruit. Think Big when planning volumes of fruit and vegetables. Up to 2 pounds of fruit per day. Up to 3 pounds of salads and colored vegetables per day. Put vegetables at the center of the plate. 2. Keep meals simple. The fewer items the better. 3. Eat a minimum of one large salad per day and one pound of fruit per day. 4. Prefer raw vegetables to cooked. When cooking prefer, steaming, baking or stir-fry. 5. Calories, no need to count them. You can eat to satiety provided these rules are followed. Your body, now receiving the correct fuel supply, can do the rest. 6. Restrict all bad carbohydrates. Be wary of anything that comes in a packet, tin, jar, bottle or box. Read the Fine Print! Consult the Glycemic Index Tables, Appendix 1. 7. Restrict red or fatty meat and their products. (Table 1, Chapter 10.) Limit the consumption of other hard but acceptable proteins (Table 2, Chapter 10.) Concentrate on sources of ‘good’ proteins (Tables 3 to 5, Chapter 10.) Don’t overeat protein. 8. Limit the consumption of dairy products. Ban them if there are signs of intolerance. 9. Be frugal with fats and oils. Replace bad fats and oils (See Chapter Five) with canola oil. Walnut, hemp and flax oils are also fine. Be cautious with cheese. 10. Favor good desserts. Return to the thinking that cakes, pastries, puddings, tarts, ice-cream etc. are a luxury to be consumed on red-letter days, like in olden times! When changing from one category of food to another, allow these times to elapse. 12. Avoid processed foods containing salt. Avoid the use of salt in cooking. Limit the use of salt at the table. Tomatoes can be eaten either as a fruit or a salad vegetable. Tomatoes are acid to the digestion. Be aware that starch/tomato combinations (e.g. spaghetti Napoletane or tomato sandwich) could give a digestive difficulty. Strawberries and raspberries seem to be an exception to the general rule about not combining fruits with other foods. Most people find that strawberries and raspberries do not give a digestive difficulty at the end of a properly combined meal. · destroy the nature and utility of the natural fibers and increase the glycemic index. · destroy many of the essential complex molecules necessary as feedstock for the human chemical factory. There is a more important point: when we eat an apple for example it requires mastication and it takes time. As a result our brains register the process at its true value, gastric juices are mobilized and we feel satiated more easily. Melons and tropical fruits like bananas, papayas, mangoes, although fruits, are high in sucrose and starch. Due to their high glycemic index, they should be consumed only modestly. Some people find it helps to avoid mixing sweet fruits (bananas, fresh dates) with other fruits, particularly acid fruits (citrus, tomato, berries). Melons are best eaten alone, Not even with other fruit. But keep matters in proportion. If you find a piece of melon in a fruit salad, it’s probably not a big deal. Melons (all kinds) are bad carbohydrates, but low density ones. You should not be eating lots at a sitting anyway. Many people have digestive difficulties if they drink on top of fruit. Definitely avoid drinking tea as it contains ‘anti-nutrients’ that reduce the bio-availability of the wondrous range of micronutrients present in fruits. Cooked fruit generally becomes a bad carbohydrate and combines and digests like one. Even so, many people have difficulty digesting even cooked fruit in combination with starch or protein. Be aware that the starch/fruit combination of apple pie, for example, could be at the origin of a digestive difficulty. Dried fruit (raisins, sultanas, currants and dried dates, figs, apricots, peaches etc.) are to be treated as sugar/starches both from a food combining viewpoint and from a bad carbohydrate viewpoint. The drying process has, of course, destroyed many of the complex essential molecules, so in no way can dried fruit be a substitute for the fresh variety. Treat nuts and legumes (lentils, peanuts, beans, soy bean) as proteins. They are further classified as soft proteins. Be wary of legumes and only eat them in small portions and dilute them by eating with a large volume of vegetables. Don’t worry too much about drinking lots of water. On this régime you’ll be getting four pints just from the fruit and vegetables! It is possible to drink both water and dry wine with a meal. The stomach simply pours in more acid to compensate for the dilution. If you notice digestive difficulties however, don’t do it any more! Don’t even think of drinking fruit juices, sugary colas/sodas or beer with a meal. Eat food that is the least processed as possible. Processing destroys fibers and leaches out micronutrients such as phytochemicals, minerals and vitamins. Processing increases the glycemic index. Processing almost always means the addition of seemingly endless lists of unwanted, useless and often harmful compounds such as: coloring, artificial flavorings, preservatives, emulsifiers, stabilizers, fungicides, pesticides, sugars, salt, sulfur, hydrogenated fat and a variety of junk fillers like whey, modified starch and unbleached wheat flour. Even water is injected to plump up the volume of products like ham, bacon and chicken breasts! So far in the book, this tuber has been comprehensively disparaged. This is deliberate. The potato, like a cuckoo in the nest, has pushed overboard the rightful occupants of our diet, green plant foods. It has only taken a couple of hundred years to do so but the consequences for the population’s health are dramatic. Incredibly, average Americans now get their vitamin C mostly from French fries. At what cost? High intakes of bad fats, empty calories and blood sugar out of control. The potato is also loaded with antinutrients to which humans have never developed resistance. The chief ones are glycoalkaloids. They destroy cell membrane and inhibit cholinesterase – essential for building good nerve function. There are hundreds of cases of potato poisoning every year, some of them fatal. That is the dark side of the picture. Is there no place then for the potato? The picture is not entirely bleak. When the potato is only eaten from time to time and in moderate quantities the body copes easily with the toxic load. The potato does have one saving grace. When it is boiled or steamed it has a low carbohydrate density. It is still a bad carbohydrate, and it is still strongly insulinemic but the healthy person has to eat a fair portion to trip the glycemia threshold. This opens up possibilities. A potato in a soup to thicken it will be acceptable. When you are confident that you have got consumption of potato under control, enjoy the occasional meal that is accompanied by a few boiled new potatoes. Take care not to eat any other bad carbohydrates at the same meal. Take your fine reading glasses with you to the supermarket. Even health food stores are not safe. Read the food labels. Ruthlessly extirpate the bad carbohydrates. Shy away from products that have lengthy ingredient lists. Avoid oils and fat additives, particularly animal fats and hydrogenated fats. Know What You Are Eating. Dark, bitter, chocolate, preferably with a minimum of 70% cocoa, is safe to eat modestly at the end of a meal. The little, individually wrapped square of dark bitter chocolate served at the end of a meal in classy restaurants is fine. Who is Natural Eating For? The short answer is everybody! However I don’t expect you to be satisfied with such a laconic response, so let us look at the longer answers for various interest groups. Everybody should read the next section on babies/toddlers. Not only does it set the tone for everything that follows, it will guide you in your relations with those who do, even if you do not have a baby of your own..
Up to the age of about three years old, human babies are lactivores (see Chapter Four).They are designed to work on human breast milk. In primitive societies, babies are not weaned until they are about three years old, although solid foods, partially pre-masticated by their mothers, are introduced slowly from about 12 months. That is the ideal. But what to do in the modern world? Mercifully, the move­ment towards breast-feeding has made this practice not only acceptable but also practicable. Today, mothers can give breast to their child in public places, something unthinkable 50 years ago. Of course it is unthinkable in the industrialized countries for the vast majority of mothers to breast feed after about 12 months, let alone to pre-masticate pap for a two year old. So what is there to be done? Fortunately, the companies that make formula milk are getting a lot more cute about making a product that imitates human milk as closely as possible. They have come a long way in 50 years.. No more cow milk allergens; a much better ratio of fats to proteins and a much better composition of vitamins, minerals and essential fatty acids. They do not, however, mimic the fact that the composition of mother’s milk changes as the baby gets older. For example, in the first weeks of life, a baby cannot utilize the essential fatty acids, linoleic acid and alpha-linolenic acid. During this time, the mother’s milk contains compounds that compensate for this. Secondly, the mother’s milk contains antibodies and other compounds that protect the baby from disease early in life. Again, formula milk cannot provide these. So the message is, breast feed if you can, and for as long as you can. Then move onto, and supplement with, the best formula milk you can find. What about solid foods? The first principle has to be, eat naturally! The more the baby eats in accordance with the general principles enunciated in this book, the better. The second principle is, people like to eat what they have always eaten. The best start in life that you can give your baby is to give him the taste for healthy foods. Get him used to eating healthy foods at this stage, and that liking will stay with him for life. Get your baby used to healthy foods, and that liking will stay with him for life. The first good habit to instill is, yes, the eating of vegetables. No need to make special arrangements, just take what you, as a Natural Eater, eat every day and reduce down to a form appropriate to the child’s stage of development. Today’s food blenders are a good substitute for the masticating jaws of the mother, but no one knows yet if the absence of the mother’s saliva is significant. The next solid to be introduced is fruit. Why not fruit first of all? It is a question of strategy. Better to get your child used to the bland taste of vegetables before introducing the sweeter and jazzier taste of grapes, bananas, tangerines, apples, pears, cherries, peaches etc… In the early stages, make sure that fruits are skinned and pipped. Give fruits to your baby every day. This is the second essential eating habit to instill for life. Eat fruit every day. What about meat? The same remark applies as for adults. The problem for meat eaters today is that there is nothing available resembling the animal matter for which we are genetically programmed. Of course many people bring their children up perfectly successfully as vegetarians. But if you do not want to go that far, then fish and fowl are fine OK. Free range, omega-3 rich eggs are always good in any quantity. Just remember, you don’t have to give your child anything that, as a Natural Eater, you would not eat yourself. In addition, a baby has a bigger need for the essential fatty acids (still in a ratio of 1:1) than an adult. Also note that there are at least two other fatty acids that are essential to babies – their immature bodies are not capable of manufacturing them for themselves. They are DHA (docosahexaenoic acid) and ARA (arachidonic acid). However don’t worry about them too much – the infant fed ‘Naturally’ will not be deficient in either DHA or ARA. There will certainly be times when it is just not possible to prepare your own baby food. What about the commercially available products? Here again the food manufacturers have got a lot cleverer about formulating reasonably healthy substitutes. When you go shopping the same rules apply. Take your reading glasses and scrutinize the Ingredient Lists. Don’t be misled by the large, attractive marketing labels proclaiming “healthy”, “low-fat”, “no artificial additives” etc… The food manufacturers always put the advantages of their product in large attractive lettering. The truth is grudgingly portrayed in the smallest legally allowable print in an obscure corner of the label. This time you are reading the ingredient list for a vulnerable, dependent, baby, so be conscientious! Don’t buy anything which contains ingredients that you would not want for yourself. Watch out for all the baddies salt, sugar, glucose syrup, vegetable oil, fat, starch etc. There will be other times when you are drawn into feeding your child starches like bread and pasta. A little of each every day is not a problem, but always insist on the whole-wheat version. Whole-wheat spaghetti is particularly acceptable. The other types of pasta are borderlines glycemic but are still not as bad as bread. Boiled potatoes are OK too in modest quantities. The big no-no’s are french fries and potato chips. As ever, keep the emphasis on a high consumption of fruit and vegetation relative to the starches. Finally, drinks. You know the answer already! If he is not drinking his mother’s milk or formula milk, then the only other he should have is plain water. Just about all the alternatives are plain bad. All? What about fruit juice? Well, if you have squeezed it yourself, this is tolerable in modest quantities. But it is not good for a baby to be quaffing volumes of fruit juice. It gives a sugar rush and helps rot teeth. Carrot juice too is highly glycemic, avoid it. Other vegetable juices, or better still, vegetable soup can be fine. But why bother? Get your child to accept water as the normal thirst quencher, and you have saved yourself trouble and given him a good lifestyle reflex. Will any kind of water do? Tap-water, unjustly, is much maligned and is quite safe to use when boiled. For all young babies, the water should be boiled anyway. For the cautious, by all means buy bottled water. Avoid the high sodium brands, distilled is the safest. As for packaged drinks be ultra-suspicious. Read the fine print. They are almost always loaded with sugar and other nasties. Don’t even think of giving your child colas and other carbonated drinks..
Don’t forget, this is one phase in your child’s life when he is most open to influence from adults. It is now that you have to indoctrinate him with good consumption reflexes. You routinely take your baby to be inoculated against diseases. This is the time to inoculate him too with some benign, life preserving ‘mind-viruses’. This is not the time to introduce him to pizzas, hamburgers, take-away chicken or hot-dogs. Even less is it the time to introduce your child to candies, cookies, ice-cream and confectionery! If you can get him through this phase without ever having tasted them, then you are well on the way to insulating him from addiction later on. Better for him and the whole family not to have them in the house at all. At a later stage, he will learn to exercise self-discipline and, like a socially responsible drinker, be able to consume just enough for the pleasure without compromising health. Your baby is not old enough to know about postponing self-gratification, so you have to provide the discipline for him. It is being realized that many adult health problems are laid down in these formative years. Perhaps the most significant is obesity. If your baby is allowed to get overweight, then the chances are, that he will be overweight or even obese, for the rest of his life. Worse, if your baby is overweight he is already laying down plaque in his arteries, storing up a mid-life heart attack. How do you avoid your baby getting fat? Just the same way as adults avoid it. It is a theme that runs right though this book. Eating naturally eliminates the risk of getting overweight. For a summary of the guidelines refer to the segment “Overweight/Obesity” in Chapter Eight. The special needs of children and adolescents are often exaggerated. They will be eating a lot for their size, but they do not need any particular divergence from the Natural Eating Pattern. By far the greatest problem is to stop them eating harmful foods! It is too much to expect that you can, like the little Dutch boy with his finger in the dike, hold back the floodwaters of the junk food society. Accept with good grace that your child will eat junk food from time to time, but don’t be defeatist! Make sure that at home he is eating naturally. The most important thing you can do is ensure that he has the ballast to keep his ship of nutritional health steady. If that is solidly assured, then he will survive the storms of junk food relatively unscathed. Avoid using junk food as a treat, much less as a reward. You are surely making a rod for your own back if you use candies as incentives. Never use junk foods as a reward or incentive! Rather, you need to indoctrinate children with the idea that junk food is shoddy, tacky, malignant, even hazardous, toxic and poisonous. Children will accept that they are different from their peers if it is presented as their particular belief-system. They need to be given the arguments and words to use when their eating habits come under question. Let them read this book. Let them understand that they are eating in a way that not only provides all the nutrients they need, they are avoiding the deficiency diseases of their peers. Play hardball. If necessary, discreetly draw attention to the signs in their peers of deficiency disease, malnutrition and over-indulgence: the poor complexion, the acne and pimples, the constant colds and flu, the dull, listless eyes, the allergies and eczema, the bad breath and body odor, the lack of physical fitness and the grossness of obesity. You may have scruples against this approach, but you have to think that your child is being peddled temptations that are even more pervasive than those offered by the neighborhood drug dealer. Does this mean that your child should never have a hamburger, cola, ice-cream or candy? Of course not! If you have done your job well, the child will be sensible and will be able to handle social situations adroitly. He will still want to go to birthday parties and proms, and to hang out at the local burger joint. He will want to be part of the scene. But this is where he will need the self-discipline, confidence and social skills to limit the potential damage. At home, you have an iron responsibility to ensure that the right foodstuffs are constantly available. Always have a supply of ready-to-eat fruit, vegetables and salads. Have homemade dishes like vegetable hot-pot and ratatouille, available in the fridge and freezer. Have stocks of frozen veggie burgers and oily fish. Lay in stocks of canned salmon, sardines tuna, and tomatoesand of certain vegetables like palm hearts, artichoke hearts and water chestnuts. In other words have a larder well-stocked for Natural Eating. Water should still be the main drink. Try carbonated with a twist of lemon. Make up your own lemonade (no sugars!). Later on, tea iced or otherwise, is OK. Finally, remind yourself that a child needs a role model. From the youngest age, if he sees the feeding patterns of the adult Natural Eaters, he will want to emulate them. He will find that lifestyle the most normal. Get your child into the habit of filling up with food at home, and of preparing and taking food supplies with him when he goes out. Never have junk foods in the house. Never buy cookies, cakes, pastries, candies, hamburgers, hot-dogs, ice-cream, pizzas, or ready made meals. Never have colas, fruit juices, or carbonated drinks in the house. What about condiments? It’s been said that the only way to get a kid to eat his vegetables is to smother them in ketchup. Strangely, if that is what works, then this is OK. A good quality ketchup (read the ingredient list) is not such a bad condiment. The main draw-back is the sugar content. But, for a Natural Eater, ketchup used in modest quantities is a small and tolerable lapse. Better still, make up your own ketchup – a recipe is given in the Natural Eating Manual. Likewise for Worcester sauce and various brown sauces (read the ingredient list!). Don’t forget herbs and spices. They are full of healthful phyto-chemicals (hence their pungent taste and aroma). We are fortunate that today we have access to a huge variety of herbs and spice. Often they are available freshly growing or at least freshly cut. Get into the habit of using copious quantities of natural herbs and spices in all your dishes. Wean yourself and your family off processed and junk sauces. All we know about how our bodies work, and how our pre-historic ancestors evolved, shows that no special departure from the Natural Eating Pattern is indicated. Really, what about extra calcium? Our ancestors never knew anything about calcium. Certainly we have no instincts to search out calcium-rich foods. But if that doesn’t convince you, studies show that calcium supplementation does not make one jot of difference to calcium metabolism. Listen to what happens with a pregnant and nursing woman. The mother’s body meets the demand for extra calcium by three hormonal activities. First, the intestines absorb a higher percentage of calcium from the ordinary foods that she eats. Secondly, the kidneys become more efficient at recycling calcium recovered from the urine. Thirdly, some calcium is borrowed from the bones. Nothing that the mother eats, supplements or does changes this process. As soon as menstruation restarts the bone density recovers. Nothing the women does in the way of supplementation speeds up or changes this process! The main lesson to draw from this is to space your pregnancies so as to allow full recovery to take place. Of course your doctor will be prescribing all kinds of dietary supplements. There is not the space in this book to explain, one by one, why these supplements are not necessary… so you will dutifully take them. Just know that the pregnant Natural Eater need have no fear of having dietary deficiencies. For example, one of the latest vitamins to be recommended for pregnant women is folic acid. The diet of the average American woman is deficient in it. But where is folic acid found? In foliage! The Natural Eater mother will be absorbing high levels of folic acid in her salads and ‘SuperVeg’, - as well as all the other essential nutrients for her baby. On the contrary, it is ever more important to not consume all the contraindicated foods like bad fats and oils and bad carbohydrates. The bad fats will reappear in the foetus and in the breast milk. The excess insulin levels will upset the baby’s metabolism. Finally, what about the cravings and nauseas of morning sickness? This is very definitely a tough time for the pregnant woman. Her hormonal messengers have just been given a new set of orders, and they are running around in confusion. Messages are late arriving or don’t arrive at all. Some messengers stray into enemy territory and start an uprising or get liquidated. Worse, there are two generals in charge of the army, the woman’s own body and the fetus which is already manipulating the woman’s hormones to serve its own purposes. What should she do? The truth is, not a lot. This is a time for going with the flow. It is a case of any port in a storm. She eats when she can and she eats what she can bear to eat. No point in getting neurotic about bizarre or absent appetites. Just relax and wait for this phase to pass. The fetus will make sure he gets all he needs, robbing if need be, his mother’s own stores. This will also be a time to take the vitamin and mineral supplements prescribed by the doctor. This is one occasion when ‘double-guessing’ nature is a legitimate strategy to bolster the mother’s nutrient intake. This is likely to be a phase of life when health will seem good and there is no need to concern yourself about the future. The reality is that it is this period of life when you need to set the scene for your later years. Bad eating habits now quickly lead to obesity, heart disease and diabetes. They lay down the foundation for the degenerative diseases of middle and old age like arthritis, rheumatism and even Alzheimer’s. It is at this age that the blood sugar control mechanism starts to shows its age. It copes less well with the stress that we put on it. It is now that ‘middle-age spread’ begins to show. This is your warning that you are pre-diabetic. Take it seriously. Take your eating pattern in hand. Relieve your body of that sugar-stress by following the guidelines in this book. But most importantly of all, this is the last chance to build up bone density capital. Read the chapters on osteoporosis in Chapter Eight, The Food/Disease Connection) . Remember, it is not a question of eating calcium tablets. Bone Health is all about eating in such a way as to marshal your body’s hormonal messengers into laying down calcium in the right places - your bones - and not in the wrong places - your arteries, kidneys and joints. Menopausal changes start in the early forties, building up to the finality around the age of 50. As with pregnancy, this is a time when a woman’s hormones are undergoing a major reshuffle. It is therefore potentially a period when Western women will have those familiar symptoms of hot flushes, irritability, hypersensitivity, depression, tension headaches and night sweating. However, in most simple societies, (such as peasant Greek and Mayan) these symptoms are almost unknown. Indeed, many women in the West do not suffer them either. What makes the difference? Not surprisingly, the main drug influencing hormonal balances is food. The bodily dysfunctions caused by dietary errors will be amplified during menopause. Controlled studies showed that a diet rich in bio-flavonoids and vitamin C provided complete relief for 2/3 of the women and partial relief for a further 20%. Where are bioflavonoids and vitamin C found? In fruit and vegetation! Just this one simple change, boosting the intake of fruit and vegetation, is enough to dramatically reduce the disagreeable symptoms of menopause. And don’t forget that bad carbohydrates and bad fats (Chapter Five) have a major effect on hormonal balances. Getting these right will help enormously too. Lesson? Eliminate dietary errors! In other words, eat naturally. Is this all? Not quite. There are other, secondary, dimensions such as the stress of the western way of life, the psychological finality of becoming infertile and the tension in relationships caused by changes (either up or down) in libido. There is a strong mind/body connection. Just know that managing stress and psychological moods will also help stabilize hormonal balances. So much for negotiating the menopausal climax. What about the long term? What about osteoporosis and heart disease? These are both major problems for post-menopausal women – but only in the West! By the time you have finished reading this book, you will have learned, through several repetitions, that these are optional diseases. Get your eating patterns right, cut out smoking, and get on with life without a worry for these conditions. Finally, what about hormone replacement therapy (HRT)? We can be fairly confident that Pleistocene grand­mothers did not distill pregnant horses’ urine to obtain estrogen-rich extracts. There is no reason from a purely health point of view why a menopausal Natural Eater should supplement with estrogen. On the other hand there are dimensions to HRT such its reputation for retarding the outward signs of aging. These are matters that are beyond the scope of this book and a woman who is interested in those aspects should make that decision in consultation with her health professional. It is at this time of life that eating naturally can bring some of the most rapid relief to distressing ailments like stiff joints, arthritis, digestive upsets and general ill-health. See Chapter Eight. These are the ailments that emerge, like the wreck of a ship, as the tide recedes. For a great part of our lives, our body’s biochemistry has sufficient ‘redundancy’ built into its system to patch around errors of lifestyle. With old age, these margins of error have disappeared. Now more than ever, it is important to harmonize how you eat with the needs of your body. When you do so, then many of those troublesome maladies disappear. Eating naturally is the ideal of course. There are no other special measures to take. Just make sure that your dentition, whether original or artificial, is working efficiently. Many old people eat badly simply because they choose foods that don’t need chewing. As an older person, do make sure that you are eating the proper rations of fruit, salads and vegetables. Surveys show that older people, who tend to have less efficient digestive systems anyway, skimp on these foods. As a result they, and their immune systems, are deficient in anti-oxidants and other essential micro-nutrients. Get that right and you’ll live out your years in good shape! Many people, who take up vegetarianism, make the mistake of simply eliminating animal matter from their normal, eat-anything, diet. As a result, some vegetarians and vegans are obese, have poor complexion and suffer ill health simply because they are continuing with the other bad habits. Notably, the consumption of cereals, bread, pasta and other complex carbohydrates. There will be other errors too, like the use of dairy products, legumes, tofu, TVP and the bad fats and oils. Vegetarians and vegans will find in the pages of this book exactly the right prescription for eating healthily. All that you have to do is to eat naturally, ignoring the animal products where they are mentioned, and think of the vegetable alternatives instead. Veganism is a very healthy lifestyle, provided that the Natural Eating consumption pattern is carefully followed. The secret is to eat more like the gorilla (a natural vegan) - very high volumes of plant material. See the Table in ‘The Stolid Gorilla’, Chapter Three. Some vegans worry about the one micro-element that is never found in plant food -Vitamin B12. There is still a lot of debate about whether the B12 made in the intestine by bacteria is bio-available. For a gorilla it is, but for humans this has yet to be proved. Studies on vegans show that their bodies are remarkably good at recycling waste B12 for periods up to at least 10 years. The quantities required by the body are absolutely minute - less than one microgram per day. It is thought that many vegans derive sufficient B12 just from biological contamination of homegrown vegetables, as is suspected with certain long-established Iranian peasant vegan sects. Whatever the truth of the matter, a vegan should make double sure by supplementing with a 2 mcg tablet of vitamin B12 once a week. Vegetarians will get all they need from the occasional egg and cheese. The Natural Eating Pattern is the ideal formula for a vegetarian or vegan régime. 1. Soy gives you allergies: over 16 allergens have so far been identified. There are so many they just get serial numbers! The worst are: Gly-m-Bd-68K, Gly-m-Bd-30K, Gly-m-Bd‑28K. Many studies have shown how genistein and daidzein attack the thyroid gland leading to goiter and, in extreme cases, to cancer. The more people eat tofu for example, the more likely they are to have senile dementia in later life. A consumption of only two portions a week raises the chances of disease by 50% compared to those who con­sume no tofu at all. Soy disrupts gastric function: trypsin inhibitors disrupt the pancreas causing it to secrete out of control quantities of chole­cystokinin (a gastric hormone). Result: WITHER­ING of the pancreas and even CANCER. Babies fed on soy-based formula receive the adult equivalent of five birth control pills per day! Soy-fed baby boys often fail to develop proper male traits later in life. Girls enter puberty much earlier than normal. Children of both sexes suffer disproportionately from extreme emotional behavior, asthma, immune system problems, pituitary insufficien­cy, thyroid disorders and irritable bowel syndrome. The New Zealand Government already issued a warning in 1998 about infant soy formula. Moral: soy is a plant to which humans have never become naturally adapted – and it matters. Don’t be fooled by the sophisticated marketing machine of the soy spin-doctors. That is, the potato generates a production of insulin out of proportion to that predicted by its glycemic index. SuperVeg is the term often used to describe a class of particularly healthful vegetables. They include most brassicas. See Table 6 in Chapter Ten, The Ten Steps to Success.